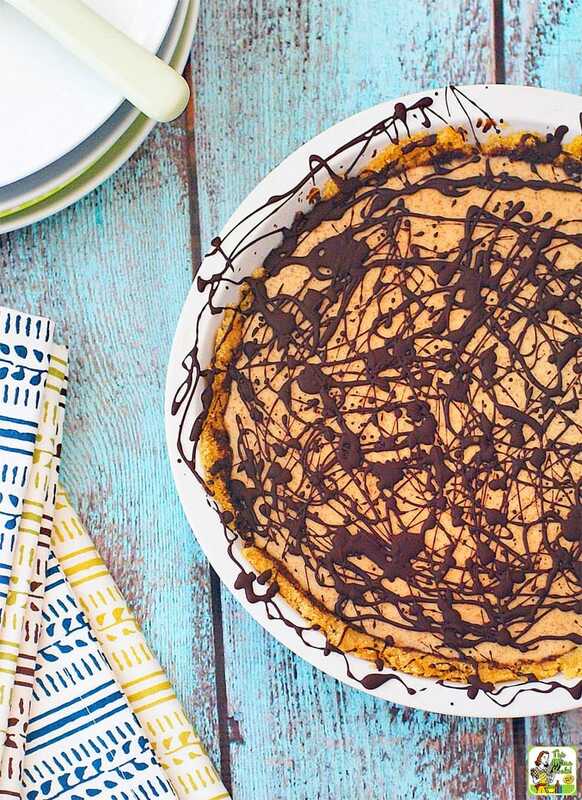 If you love ice cream pies but can’t deal with all that dairy, you have to check out this almond butter pie recipe! 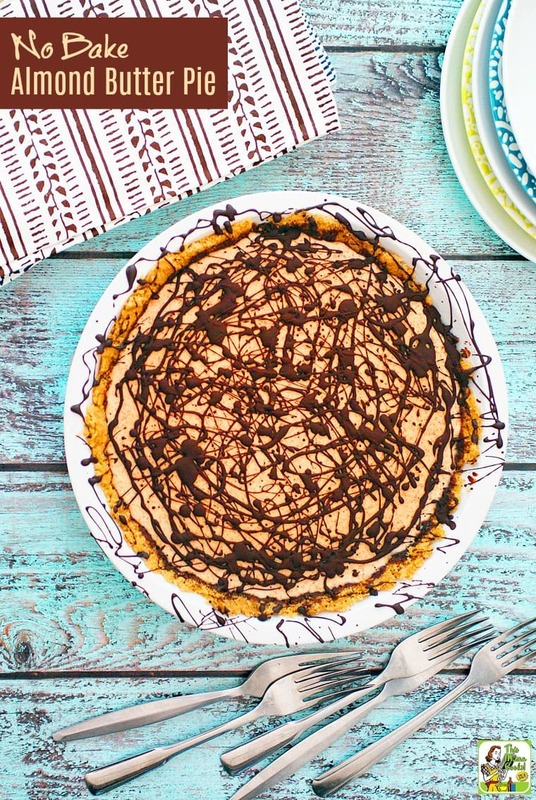 This No Bake Almond Butter Pie is not only ideal anyone who’s dairy free, it’s also gluten free. That’s because the crust is made from gluten free kettle corn rice cakes. The combination of coconut milk and honey almond butter creates a no bake pies recipe with the consistency of ice cream. However, between the almond butter and dark chocolate, this is NOT a light dessert. Serve each person a small piece along with some berries for a delicious summer treat. I decided to use gluten free rice cakes to create a crust, similar to when I use crushed gluten free cookies in my Gluten Free Mini Blueberry Swirl Cheesecakes. I’ve been a fan of Lundberg Organic Gluten Free Rice Cakes for years. They have so many sweet rice cake flavors that would make wonderful pie crusts, like Salted Caramel, Honey Nut, and Cinnamon Toast. I decided that Kettle Corn would work best in a No Bake Almond Butter Pie recipe. This freezer pie recipe also gave me the chance to use a couple of special kitchen gadgets that I love. First, I used a Beka Cookware Bain Marie to melt the chocolate instead of a double broiler. I love the Beka Bain Marie since it’s almost impossible to burn anything you’re melting in it. Plus, you don’t run the risk of getting water in your chocolate. I also used my Blendtec Blender’s Twister Jar to make most of this recipe. If you have a Blendtec Blender, you NEED to get a twister jar to make sauces and recipes like No Bake Almond Butter Pie! If you don’t, just use your food processor instead. I love ice cream pies, but my tummy doesn’t. So I made this No Bake Almond Butter Pie dairy free using a variety of products. For the chocolate drizzle, use a dairy free semi-sweet chocolate like Enjoy Life Semi-Sweet Chocolate Mini-Chips, which is gluten free, dairy free and vegan. I combine it with a little Spectrum Naturals Organic All Vegetable Shortening for easy drizzling. 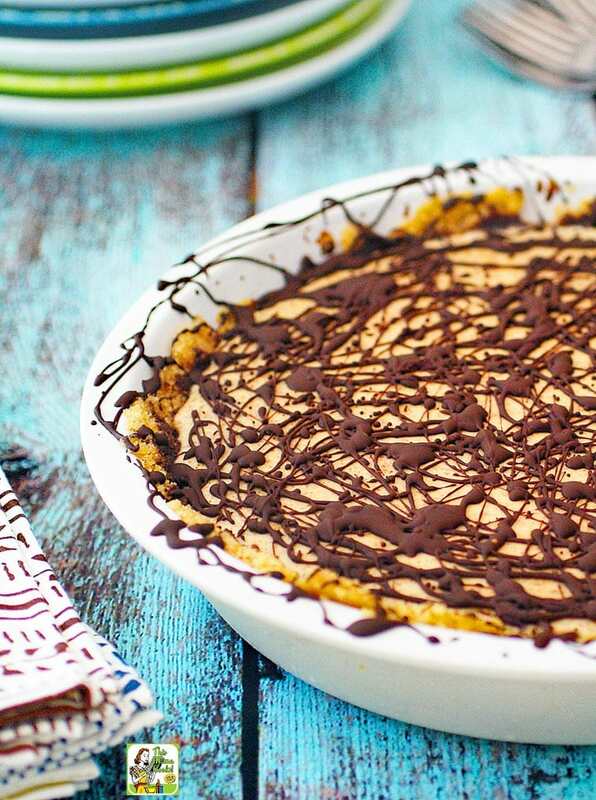 This almond butter pie recipe also comes with a vegan option! Since this no bake pie recipe is dairy free, it’s practically vegan friendly except for one ingredient – the honey in the almond butter. 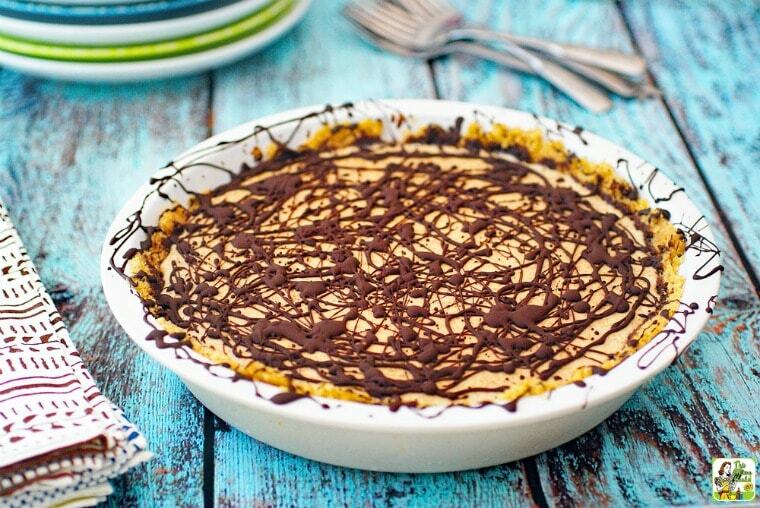 If you’re vegan or wanting to serve this No Bake Almond Butter Pie to vegan friends or relatives, use plain almond butter. Just double check the label to make sure your almond butter is vegan. If the no bake pie isn’t sweet enough when using plain almond butter, add a little more sugar to taste. Place rice cakes (about half a package) into a food processor and grind them into fine crumbs. Add the vegan buttery spread and sugar and pulse until combined. Firmly and evenly press the mixture into a pie plate. Break the chocolate into small pieces and combine with the shortening and melt. You can do this in a double boiler, in a bain marie, or carefully over low heat in a sauce pan in medium heat-proof bowl, stirring constantly. Dip a pastry spoon into the melted chocolate and give the pie crust a thin coat by using the pastry brush to paint on the chocolate. Work quickly and try not to loosen the rice cake crust. Chill the crust in the freezer for 15 minutes. Place the almond butter, coconut milk, sugar, and salt into a large mixing bowl and using a hand mixer, beat until completely blended. 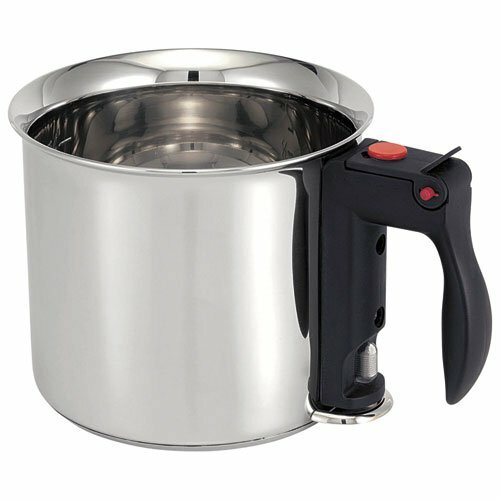 If you have a Blendtec or similar blender, you can also combine the ingredients in the blender using the sauce setting. Remove the pie crust from the refrigerator and pour the pie filling into the shell. Gently tap the pie plate on the counter to release any air bubbles. Place the pie back into the freezer for 1 hour or until set. Remove pie from freezer. Prepare the chocolate drizzle by remelting the remaining chocolate, if needed. Take a spoon, dip into the melted chocolate, and drizzle chocolate over the pie in a decorative manner. Place the pie back into the freezer for 30 more minutes. Remove from freezer 15 minutes before serving. Slice carefully and enjoy! Originally published in May 21, 2013. Updated with new pictures and information. Posted in Baking, Desserts, Gluten Free, Recipes and tagged chocolate, dairy free, pie, vegan on August 19, 2017 by Anne-Marie Nichols. Yum. I could certainly handle a slice of this! Making crust from rice cakes – brilliant! Looks and sounds delicious! Wow what a pie! This looks so delicious.